It's Wednesday, March 7 and you know what that means: it's iPad 3 day. Apple on Wednesday is expected to unveil the next iteration of its popular touch tablet during an event in San Francisco starting at 1 p.m. ET/10 a.m. PT. PCWorld will host a Live Update of the press event here. Nobody knows for sure what the next iPad will offer in terms of specs, but most expect it to be rocking a higher resolution display, faster processor, and, as usual, it is expected to be a little bit thinner and lighter. Beyond that, big questions remain about when the new device will be released, exactly what kind of chip will it have, and will Apple finally dip its toe in the LTE waters with the iPad 3? Here's a look at the highlights from the latest iPad speculation, and what you might see during Wednesday's Apple event. The biggest, and longest standing, bet is that Apple will unveil a 9.7-inch Retina Display with the iPad 3. Apple first introduced Retina Displays with the iPhone 4 in 2010, showing a screen with 960-by -640 resolution and 326 pixels per inch. The iPad 3's new screen would bump up the resolution of the current iPad's 1024-by-768 display to the iPad 3's purported 2048-by-1536 resolution. 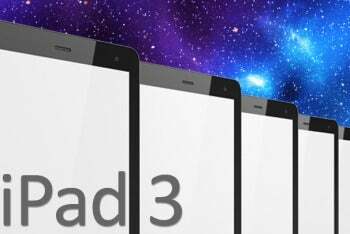 Going right along with the expectation of a Retina Display, Apple may drop the numbering convention from the iPad and call the forthcoming tablet the iPad HD instead of iPad 3. The HD moniker would be a nod to the next iPad's expected display improvements. While the HD name makes sense, it's not necessarily guaranteed. Apple is quite content with using a numbering convention for the iPhone (iPhone 3G, 3GS, 4, and 4S), but the company doesn't use numbers for new iPod Touch devices or MacBook laptops. While an iPad 3 debut is all but guaranteed Wednesday, the question of when Apple will release the device is still an open question. A report from 9-to-5 Mac claims that a reliable anonymous source said the next iPad will hit store shelves on Friday, March 16. That date looks fairly promising, as Apple has a history of releasing products on Fridays including the iPad 2, iPhone 4S, and iPhone 3GS. New Apple Store locations in London, England and Houston, Texas are reportedly opening that same day as well. In 2011, the iPad 2 was announced on March 2, 2011, followed by a sale date of Friday, March 11, 2011. The original iPad went on sale on Saturday, April 3, 2010. Apple may be set to give its famous hobby, the Apple TV set-top box, a refresh on Wednesday. 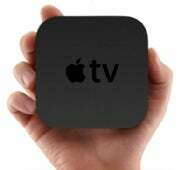 The new TV gadget doesn't sound all that exciting, but will purportedly have welcome improvements for Apple TV fans including a Bluetooth 4.0 chip and be capable of displaying 1080p video, according to 9-to-5 Mac. If you were still harboring any doubts that the iPad has gone mainstream, the apparent addition of catalog shopping (an activity that appeals mostly to grandparents and people living in remote locales) should clear things up for you. The sharp-eyed Apple watchers over at Macrumors spotted a new category in the App Store called "Catalogs" including apps from SkyMall, Catalog Spree, and others. But big name apps such as Ikea Catalog have not made the switch to the new category. Unlike SkyMall, however, you cannot make purchases using Ikea's iPad app. Perhaps Apple is looking to take a cut of catalog shopping on the iPad and may encourage (or force) big name retailers to use the new app type. A big question under debate is what kind of processor the next iPad will be packing: will it be the mythical Apple A6 quad-core processor or the equally imaginary A5X, dual-core chip? The latest blog to wade into the fight is The Verge saying a source "familiar with the matter" says the iPad 3 will have an A5X that includes a more powerful GPU than the current iPad. Apple will reportedly wait for the next iPhone before unveiling its supposed quad-core chip. Another geeky point being bandied about is whether the next iPad will have a boring, old 3G option or LTE, the more exciting next-generation wireless broadband option. The Verge is also saying that sources are pointing to an LTE iPad, which would make sense as both Verizon and AT&T have been hyping their LTE networks. But LTE devices have a reputation for having poor battery life, although that is starting to change. So unless Apple has figured out how to include an LTE chip into its tablet (not to mention a higher resolution display) without killing the device's famous 10-hour plus battery life, I wouldn't bet on LTE just yet. All these questions, and more, should be answered in just a few short hours starting at 1 p.m. Eastern/10 a.m. Pacific. You can follow along with all the action right here including PCWorld's live blog of the event (via our friends at Macworld), commentary, analysis, and images from Apple's latest gadget event.